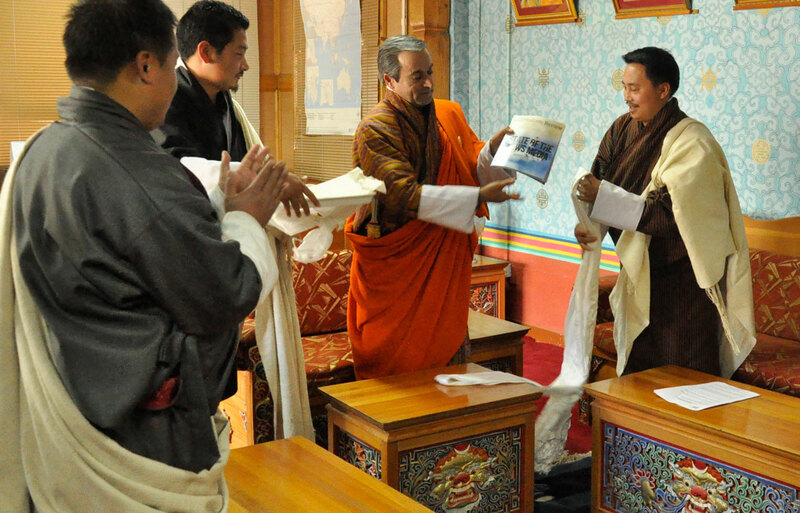 On 27 February 2014, Hon’ble Lyonpo DN Dhungyel, Minister for Information and Communications, launched the first edition of the Bhutanese Journalism Review published by BMF. The Review closely followed Bhutanese journalism and other affairs of the media industry. The first issue of the tri-annual magazine presented the media scenario and suggested some ways forward. Amid the overall intention, the Review, as one of its permanent sections, was to analyse news contents. The Review was also aimed at serving the purpose of media literacy, particularly for those aspiring to join the industry and other general news consumers. The magazine was distributed free with e-copies downloadable from the BMF website.